Acrylic on Canvas, 30cmx30cmx4cm. Koala 8 comes framed in a raw wood shadowbox frame, with wire on the back ready to hang. 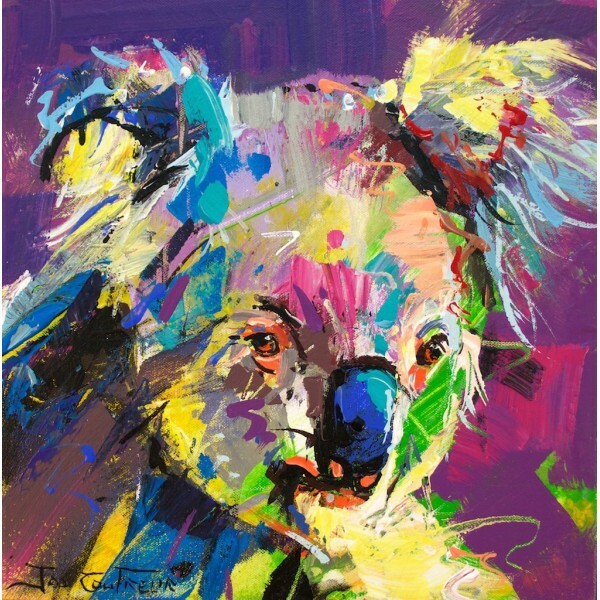 Within Australia this artwork will be shipped stretched and ready to hang on your wall. For overseas shipping this artwork will come rolled in a heavy tube. You can have the artwork stretched at any good local framer.